Poetry Salzburg Review No. 5 was published in Autumn 2003. Graham High reviewing Daniel Thomas Moran's From Hilo to Willow Pond: New and Selected Poems. "This prestigious Austrian journal [...] is stimulating and logically compiled. The practice of grouping interviews with examples of the work discussed makes its debate accessible, and an enthusiasm for language, and playing with language, pervades the magazine. There is an enjoyable sense that contributors are engaged in a poetical debate with each choice of word. [...] Readers prepared to invest a little time might just be hooked." "Standard of writing throughout this issue is meaty, technically superb and very broad-reaching. [...] perfectly observed poems on every possible topic. 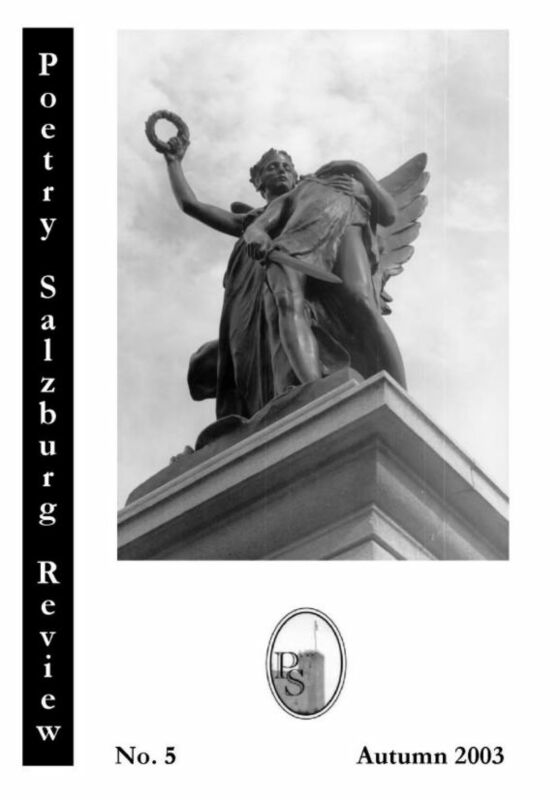 Poetry Salzburg Review is a definite winner."